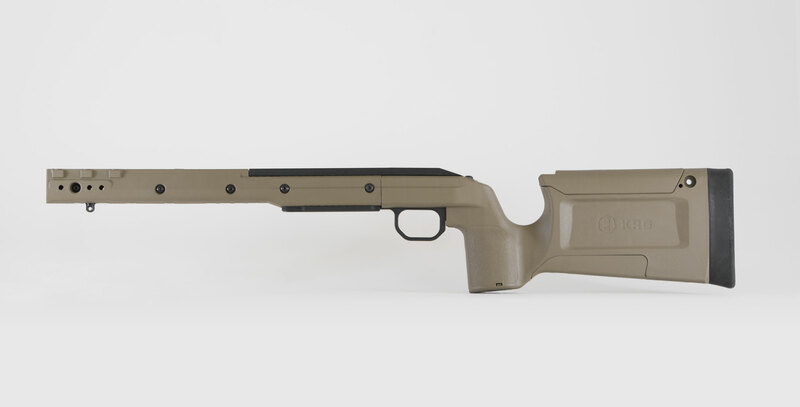 *CZ-455 chassis now accepts Timney trigger without modification. 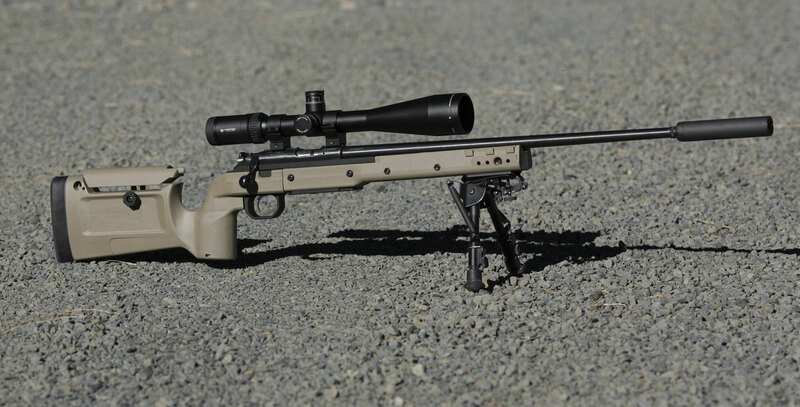 If you enjoy rimfire matches or plinking, or want a trainer rifle set up similar in feel to your long range rifle, our CZ-455 .22 chassis is what you need! We start with a lightweight front end that is comfortable and has a machined aluminum bedding surface for your action. 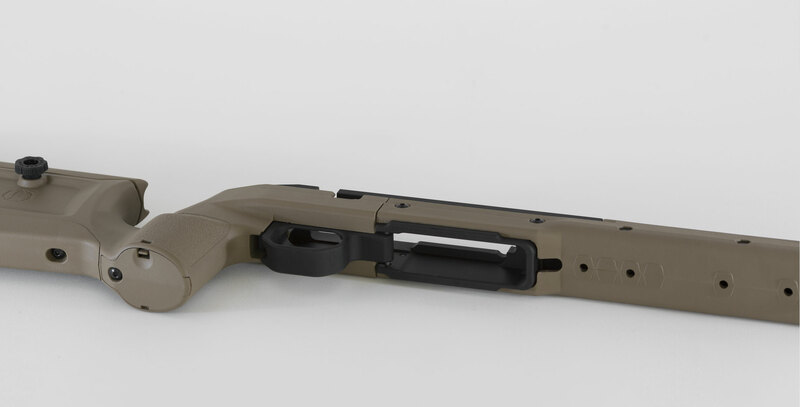 For the back end, you can choose between our modular buttstocks. That means that you can get the CZ chassis with the lightweight polymer X-ray back end (CZ-Xray), the fixed or folding Whiskey-3 back end (CZ-Whiskey) or the popular and low cost Bravo rear (CZ-Bravo)! The CZ-455 chassis provides you with the excellent ergonomics and adjustability of our other chassis while offering the different configuration options to tailor the weight and cost to suit your needs. 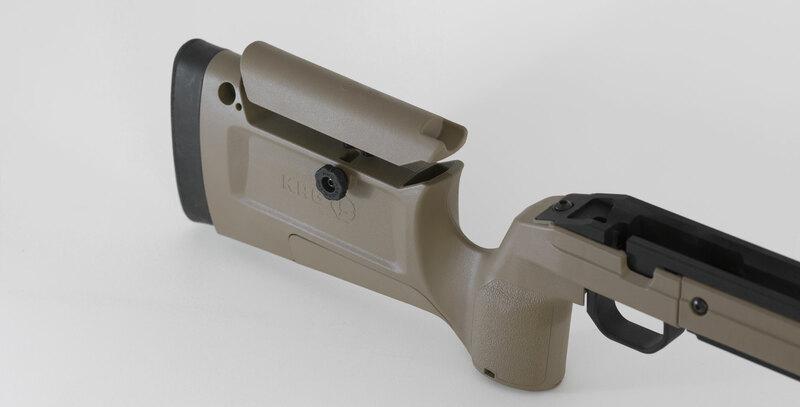 You can go from high end folding stock with tool-less adjustments all the way to a lightweight entry level setup. Of course accessories and mounting options are important so we made sure that there were as many options as possible. 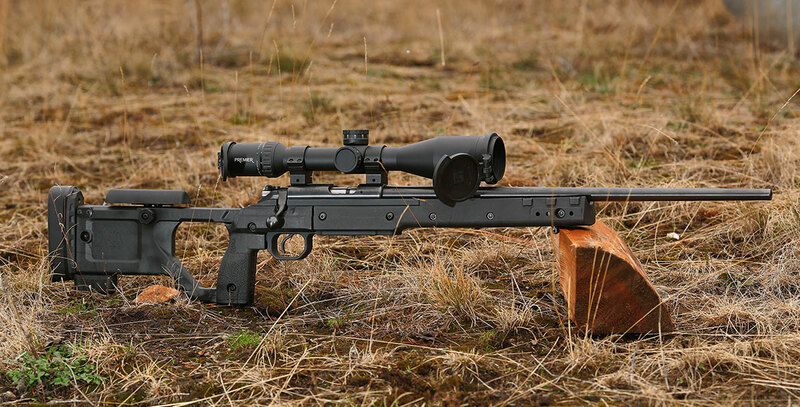 The CZ chassis uses the factory CZ-455 magazine. Mounting holes and MLok slots at various positions will take L2 Picatinny rails, QD sling mounts,NV mounts, etc. Will accept any barrel contour up to 1.2” straight cylinder. However we recommend a lighter contour such as medium palma for extra barrel clearance. Will accept some aftermarket triggers. Uses factory magazine well and release. Heavy internal ribbing provides great strength. Mounting points for external QD cup on either side. 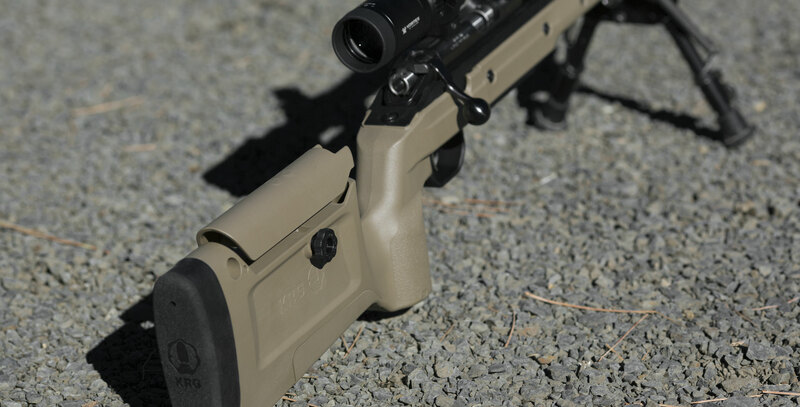 Buttpad is Remington 700 pattern so user can install aftermarket pads if desired. Buttstock has one position on each side for external QD cup. 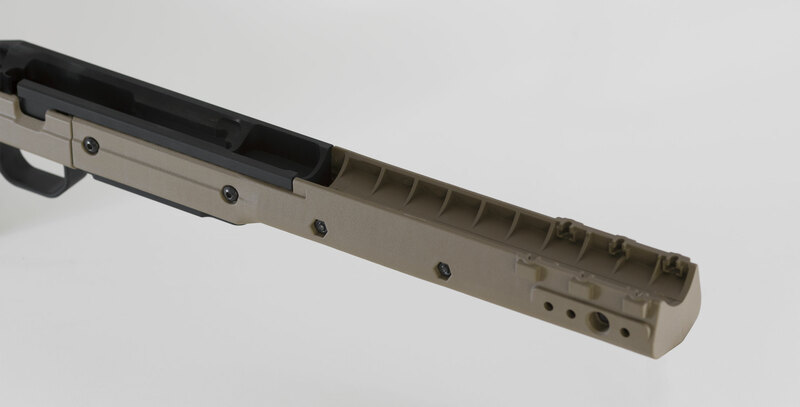 ALL STOCKS COMES WITH ONE EACH MOE L2 rail. Shipping Fee: This item will ship for a flat rate of $25 if purchased alone. This rate will cover all other items ordered and shipped at the same time.We offer a military and LE discount (active duty mil and POST certified LE with PD/SO/Agency) on the products we manufacture, to receive the discount amount and codes, please send a copy of your ID or credentials to info@krg-ops.comManufacture: Our products are made in the USA by hard working Americans.NOTE: ALL stocks comes with one each MOE L2 and L3 rail, along with the bag rider for the rear and a sling swivel stud (bipod stud) for the front. Additional rails and other accessories can be ordered in the Products/Accessories section of our website. No stocks come with an AICS magazine.